If you want to use competencies to improve the performance of your workforce, you have probably encountered a number of options and approaches for developing competency models and applications. Competencies are underlying characteristics of an individual, which can be shown to predict superior or effective performance in a job; and indicates a way of behaving or thinking, generalizing across situations, and enduring for a reasonably long period of time. Learn more. Many of our clients have followed these steps. — Successfully complete a Building Competency Models certification workshop. 3. 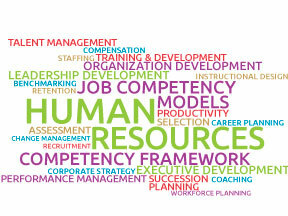 Consultant and trained HR staff collaborate and build models. Add competencies to job descriptions and other talent management processes. Simplify the creation of competency models and applications by utilizing a comprehensive set of tools developed by Workitect. Each component is written in language that “makes sense” to people at all levels in an organization. You’ll save, time and money and have the confidence that your applications are based on tested, research-based content. 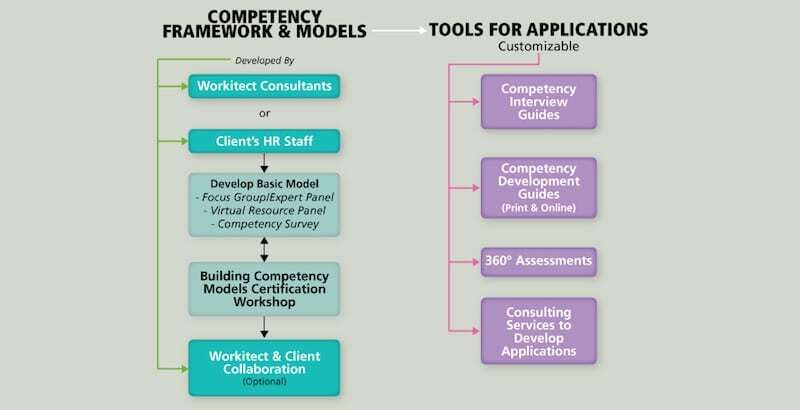 Each tool is derived from the 35 competencies in Workitect’s Competency Dictionary, and the competency models that are created. The Competency Development Guide and eDeveloper™ focus on ways to develop each of the 35 competencies. The Competency Interview Guides describe an interview process and interview questions for each competency. The 360° survey instrument provides assessment feedback for each competency. Intellectual property licenses are available for most products. Contact Workitect at 800-870-9490 or consult@workitect.com for more information.